Looks like The Superintendent is back at Bungie. Confused? You may have missed the fuss in July when a game by that title, rumored to be a 2D platformer whose titular character is more Mr. Venezuela from "South Park" than he is Chalmers from "The Simpsons." Which is to say he's not an education bureaucrat, but a dude who keeps things clean and functioning and I suppose has a weapons-grade key ring on a pulley-chain. Everyone thought this game would be announced at one of the summer's game conventions, but it wasn't. 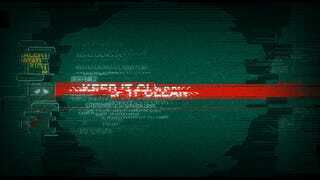 Then last night around 7 PDT the Super, who posts in the Bungie forums under his calling card identity of |||||, left a robotic, cryptic message transcript that of course tips off something, just not sure what. Announcement coming soon? Dunno. These things are designed to keep you checking back. Full transcript on the jump.